A nighttime version of the Pines & Cranes design. Hopefully I can sort this out for the shop next week but for now I've set it as my wallpaper for the holiday season. As you can see, I'm not the tidiest desktop keeper (and this is the sorted out version)! Beautiful pattern. 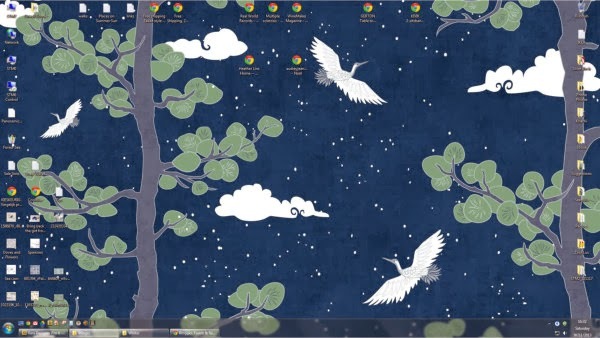 If you think your desktop's untidy - you should see mine!